Becoming a published author will change your life forever. You will be perceived differently by others, and doors will open to new opportunities you may never have expected before. As we come to the end of another year and the beginning of a new one, you may be looking for additional ways to increase your income from a new or existing business. 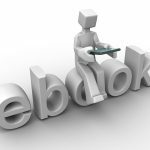 Writing a short book to publish on Kindle is an excellent way to launch a new Internet business or to promote an ongoing brick and mortar business. I will explain exactly how to do this using the publishing model. If you’ve been reading my blog for any time, you know that I am a proponent of creating content that explains who you are, what you do, and how you serve others through your business. 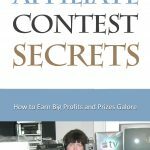 There are a variety of ways to do this, including blogging, article marketing, short reports, eBooks, audio recordings, videos, and publishing on Kindle and in paperback on Amazon. I have quite a few of these available at Amazon, and to get a more complete idea of what I am referring to please take a look at my Author Page on Amazon. You will see that I have written many books that are available on both Kindle and in paperback; books I have co-written; and books I have contributed to along with other authors and business partners since 2010. What I am suggesting here is that you collaborate with a few other people – four to six is manageable for your first one – to create a book that will then be available on Kindle or as a paperback book at Amazon. If you are a group of business owners or entrepreneurs, for example, you would each write ten to fifteen pages and combine the writing into one book for publication. Choose a common theme so that the book flows smoothly for easy reading. This makes it less work for each individual and more beneficial for the entire group. One way you could approach this is to connect with people at the service organization or local business meeting you are a part of in your community. If you are not part of such a group right now I recommend that you visit your local Rotary Club, the Chamber of Commerce, or any of a number of groups that meet regularly. Ask people if they would like to get involved in a short writing project that would promote everyone as a published author and an expert on their topic. With a theme such as customer service, innovations in the industry, or community involvement, everyone would be able to show themselves in a positive light with what they write and contribute to the project. The next step is for each person to write their chapter and return it to you by an agreed upon deadline. You may edit it yourself or find someone who has more expertise in this area. The idea is to keep it simple so that the final book is easy to read and offers true value to the readers. 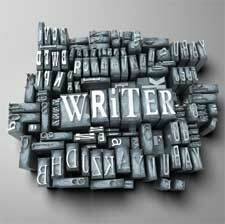 At the end of your chapter write a short bio that explains who you are, what you do, and how the reader may contact you further. Submitting your content to Amazon is an amazingly simple process. For Kindle, go to http://kdp.amazon.com and for print books go to http://CreateSpace.com. They have step by step instructions on how to submit your writing, and the entire process takes just two or three days at the most. 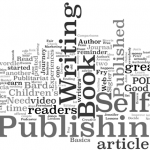 The result is that you and the others become published authors while also promoting yourself to the world. I have done this many times now, and each time I am part of a new book it extends my reach even further.